Does your dog have itchy, gunky, smelly or even painful ears that just don’t seem to get better? If you answered yes, you’re not alone. And like other dog owners, you’re probably frustrated by how hard it can be to get rid of chronic ear issues once and for all. Ear problems are one of the biggest reasons dogs visit the vet, and they can be really hard to resolve. External ear infections will often respond well to some of the remedies recommended below and can often be treated successfully at home. Middle or inner ear problems are more complex and you’ll need help from your holistic veterinarian to treat these. If you’re not sure which kind of infection your dog has, see your vet for a diagnosis. When the ear issue is more serious your dog may experience hearing loss, loss of balance or walk in circles. Consult your holistic vet if you see these symptoms. The first step in holistic treatment for your dog’s ear issues is to identify the possible sources of the problem. Many dogs today have been inundated with too many vaccinations, drugs, pesticides and other chemicals, and the body tries to get rid of them through the bowels, the urinary tract and through the skin and the ears. Discharge and inflammation in the ears are often a sign that the body’s trying to eliminate toxins. From a holistic perspective, this is a good thing! Your dog’s body is working to heal itself by getting rid of toxic substances. The goal of holistic treatment is to avoid interfering with this natural detoxification process. Unfortunately conventional medicine takes a completely different approach. If your dog’s been treated for ear infections by a conventional vet, she’s probably been given topical treatments and antibiotics. These treatments may help the ears clear up at first, but the problem often comes back again later. That’s because the drugs just suppress the symptoms (your dog’s gunky, itchy ears) without addressing the underlying condition that’s causing the symptoms. And if you treat a bacterial infection with antibiotics, you can cause a yeast issue … continuing the cycle of recurrent ear problems in your dog. When antibiotics stop helping, your vet may even prescribe steroids … drugs that suppress symptoms and can have many harmful side effects. The holistic view is that these suppressive treatments drive the symptoms deeper, which can ultimately make your dog sicker over time. Getting to the bottom of your dog’s ear problems is an important factor in getting rid of the problem once and for all. Diet is a huge factor, especially when dogs are on kibble diets. Kibble is very high in refined carbohydrates and contributes to yeast and food allergies or intolerances that can cause inflammation in the ears. Dogs with long ear flaps (like Cocker Spaniels) often have a tendency for waxy buildup and discharge. The ear canal is a dark moist environment that can encourage the growth of yeast and bacteria. Dogs who love to swim may get water in their ears that can lead to ear issues. Others who are out in the woods a lot can get foreign bodies like foxtails or seeds in their ears, causing irritation. 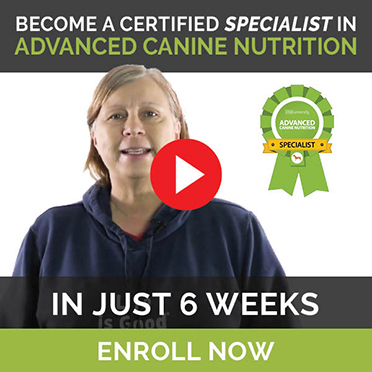 Feeding your dog a whole foods, raw meat diet, while minimizing vaccines and other pharmaceutical drugs, and avoiding pesticides and other chemicals in your dog’s environment, will help reduce any tendency to ear infections. Dogs who are raised naturally are less likely to develop reactions that lead to itching, discharge and inflammation in their ears. Healthy ears shouldn’t need cleaning. If your dog’s ears do look a little waxy occasionally, don’t over-clean them. A little waxiness will often resolve given time; overdoing the cleaning can cause irritation and aggravate the condition. If your dog isn’t showing any signs of discomfort it’s often best to leave the ears alone. If you do need to clean your dog’s ears occasionally, just use a little organic witch hazel on a cotton ball or pad to wipe them gently. If your dog has food or environmental allergies, these may show up in his ears and you may treat the infection only to see it come back again. In this case, you’ll need to get to the bottom of your dog’s allergies to resolve your dog’s ear issues. Chronic conditions like hypothyroidism or auto-immune disease can also result in ear infections that can be really hard to get rid of. If your dog suffers from recurrent ear issues that don’t resolve, you’ll want to work with your holistic vet to identify the underlying reason for the problem. 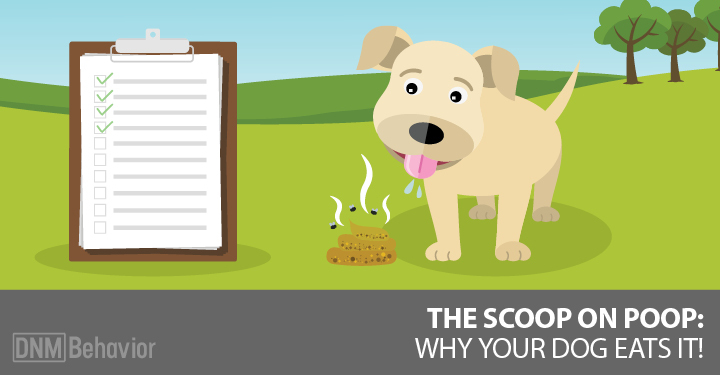 So … if your dog does get itchy, gunky ears, what can you do? First let’s talk about some different types of ear infections. These are some of the most common types of ear issues in your dog. Bacteria and yeast both exist naturally in healthy ears, but can get out of balance. If your dog swims a lot, moisture in the ears can contribute to either of these conditions. If your dog’s ears are yeasty-smelling with a dark brown discharge, he probably has a yeast infection. Yeasty ears may be itchy but usually are not painful. Bacterial infections can also occur. In these cases you may notice a bad-smelling yellor or greenish discharge. Ear mites, known as Otodectes cynotis, is a common parasite infection and a type of mange. Dogs with ear mites will often shake their heads and scratch at their ears. Mites are often seen in young dogs and are quite contagious, so you’ll want to treat them quickly to avoid other pets in the house getting them too (cats are also prone to ear mites). You can usually identify mites by the “coffee-ground” bumps in the ear, and the outer ear may have reddish crustiness. Sometimes ear discomfort may be caused by foreign bodies like grass seeds or foxtails, or even a fly or dirt. Your dog will usually shake his head violently trying to shake the object loose. If your dog’s been shaking his head or scratching violently, he can cause an aural hematoma – a pool of blood between the skin and cartilage of the ear flap. Most vets recommend surgery for this condition but there are some gentler treatment options to try first. Ear infections can be very uncomfortable for your dog, so first of all, there are some natural soothing solutions you can use to help ease the itching or pain while you’re getting to the bottom of what’s causing your dog’s ear issues. Dr Michael Dym recommends the following soothing solutions if your dog’s showing signs of ear discomfort. Sponge or syringe some of the solution into the ear canal. Sponge or place with a dropper into the ears. Place yogurt in the ear canal with a syringe to help repopulate the ear with “good” bacteria. Grapefruit seed extract (GSE) is a powerful natural antioxidant that’s antibacterial, antiviral and antifungal. It can be used topically as well as internally. Use it to clean the ears when needed. Add 3 to 5 drops of GSE to your dog’s food. Oil of oregano is naturally antibacterial. Add one drop to ½ oz of warm pure aloe vera juice. You can use this mixture topically in the ear as well as adding a few drops to your dog’s food. These are all gentle solutions that can help keep your dog comfortable. These soothing remedies won’t make your dog’s ear problems go away, but they will help make your dog comfortable while you figure out a herbal or homeopathic remedy that can help address the underlying cause of the ear issues. 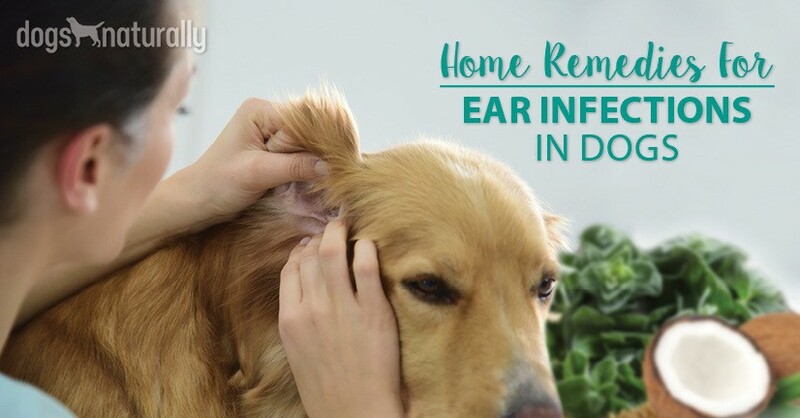 There are herbal and homeopathic remedies you can use at home to treat your dog’s ear infections, whether from bacteria or yeast. Herbalist and holistic veterinarian Randy Kidd DVM PhD recommends starting with a vinegar solution for mild ear infections. Use a mix of 1:1 vinegar (organic apple cider vinegar is a good choice) and water. Apply it once daily for a few weeks, and as the condition resolves, use it once a week or so for several more months. Make sure you get the liquid into the ear canal by holding your dog’s ear and pouring or squirting the liquid (at least one dropperful each time) into the ear canal. Then massage gently below the ear. Dr Kidd also recommends a mullein mix that’ll work on most ear infections. You can make your own or buy one at health food stores (one brand, HerbPharm, offers a good mullein-garlic oil). Pack mullein leaves and flowers in a glass jar and cover with olive oil. For increased antibiotic effectiveness, you can add a clove or two of garlic per pint of oil. Let the mixture sit for two to three weeks. Find more herbal recommendations from Dr Kidd. For acute flare-ups (not chronic issues), here are some helpful homeopathic remedies. Use the one that most closely matches your dog’s symptoms, in 30C potency. Use Belladonna when the ears are very hot and inflamed. Your dog may be impatient and irritable. This remedy is helpful for acute flare-ups with sensitivity and redness, along with a yellowish discharge. Pulsatilla animals like to sit near open windows, hate getting their paws wet and won’t go out in the rain. They also tend to have a very sweet (and slightly needy) disposition. Hepar sulph is useful for irritable animals who don’t like to have their inflamed ears touched. See Homeopathic Dosing information below. If your dog has chronic, recurring ear issues, it’s best to get help from a homeopathic vet who can do a complete analysis of your dog’s overall symptoms. Your homeopath can then prescribe a constitutional remedy to address the underlying cause of your dog’s ear problems. You can find a homeopathic vet at theavh.org or pivh.org. Most will do phone consults so they don’t have to be local. Be aware that sometimes, when your dog’s treated with constitutional homeopathy, skin and ear issues can temporarily get worse. Healing comes from the inside out, so ear issues are often the last to go away, after the deeper issues improve. If your dog has ear mites, Susan Wynne DVM and Steve Marsden DVM in their Manual of Natural Veterinary Medicine recommend first cleaning the ears with mineral oil or olive oil to remove as much debris as possible. The oil can help asphyxiate the mites. Do this treatment every 3 days for 2 weeks because ear mite eggs hatch every 4 days. Herbalists Greg Tilford and Mary Wulff recommend applying garlic oil twice daily. Mites don’t like sulfur and garlic contains a lot of it. Garlic also helps minimalize bacterial infections. Mullein is also anti-parasitic, so using a garlic-mullein oil as described above can be a good anti-mite remedy. Don’t forget to check other pets in your household (including cats) because mites are very contagious. Hematomas can be quite serious so it’s a good idea to consult your holistic vet. Many vets recommend surgery. The homeopathic remedies Arnica montana 30C or Hamamelis 30C can help with simple hematomas that don’t have a lot of ear inflammation. Drs Wynne and Marsden recommend giving one of these remedies up to twice daily for 1 week, then once a day for 4 to 5 days. You can also use topical Arnica or Hamamelis (both should be easily available at health stores) three times daily. If the hematoma continues to enlarge, stop treatment and consult your vet. Yarrow is another herbal option for hematomas, recommended by Greg Tilford and Mary Wulff. Yarrow oil applied topically helps strengthen the exterior capillary walls. Witch hazel can also be effective applied topically: its strong astringent properties help constrict weak or inflamed blood vessels. If you can see the foreign object in the ear, you may be able to remove it with your fingers or tweezers. Otherwise, use homeopathic Silica in a 6C or 30C potency to help eject it. Follow the dosing instructions below. Tip 2 or 3 pellets straight into your dog’s mouth, or stir the pellets into a little filtered water and then use a dropper to place some of the liquid on your dog’s gums. Give the remedy once then wait to see if there are any changes. If the condition improves, do nothing. If you see an improvement followed by a decline, redose. If you see no change, consider trying another remedy. You’ll need to be patient with the healing process when you’re dealing with chronic ear issues in your dog. As your dog discharges toxins to the outside through his ears, remember that this is an important part of healing. It’s how your dog’s life force “lets off steam” and you don’t want to suppress that process by using anything that will magically make the symptoms disappear. Any drug or herb that can remove symptoms quickly is likely to suppress them and drive them deeper into the body where they can cause more serious issues later. So, be patient, and keep your dog comfortable with soothing solutions while your homeopathic vet addresses your dog’s overall constitutional health.